Businesses from all over the county attended the Truro and Penwith College Business Club for a lecture by Jeremy Filmer-Bennett, Chief Executive of Devon and Cornwall Business Council (DCBC). In this current economic climate, his topical subject “Survival Techniques in Challenging Times” was intriguing. Cornwall Business Club, hosted by Truro and Penwith College Business Centre is in association with Lloyds TSB. 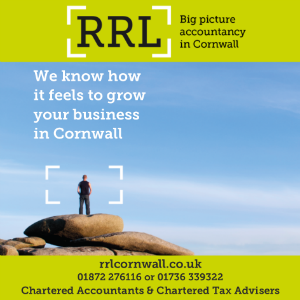 The club provides an excellent opportunity for business networking in Cornwall which attracts over 100 guests from a wide variety of business backgrounds and sectors. Jeremy Filmer Bennett’s career has included 20 years working with multinationals, extensive experience in partnership and economic regeneration, has run his own business and was Chief Executive of North Devon Chamber of Commerce and Industry and a founding member of the DCBC. After explaining about the DCB Council, he explained how to continue to conduct business through changes in the market. He discussed the worries and effects of the economic down turn and what businesses could do to ensure they continue to trade. Jeremy advised businesses to keep their skilled staff and make sure that skills are up to date. He also advised to compare bank rates; work with other businesses on deliveries/distribution transport costs and stay on top of business by staying in contact with customers, marketing and networking. “Be optimistic and look forward to the current problem, it will make us stronger as a country, the businesses who do well will be the ones who can keep going. Be honest and take criticism and see what can be done”.